Opium, a wildy spicy scent of the late 1970’s (Yves Saint Laurent 1977) is Bianca Jagger’s red lipped insouciance, plush leather and a hot disco beat in a bottle. Oh and add something almost a little scary to that too. 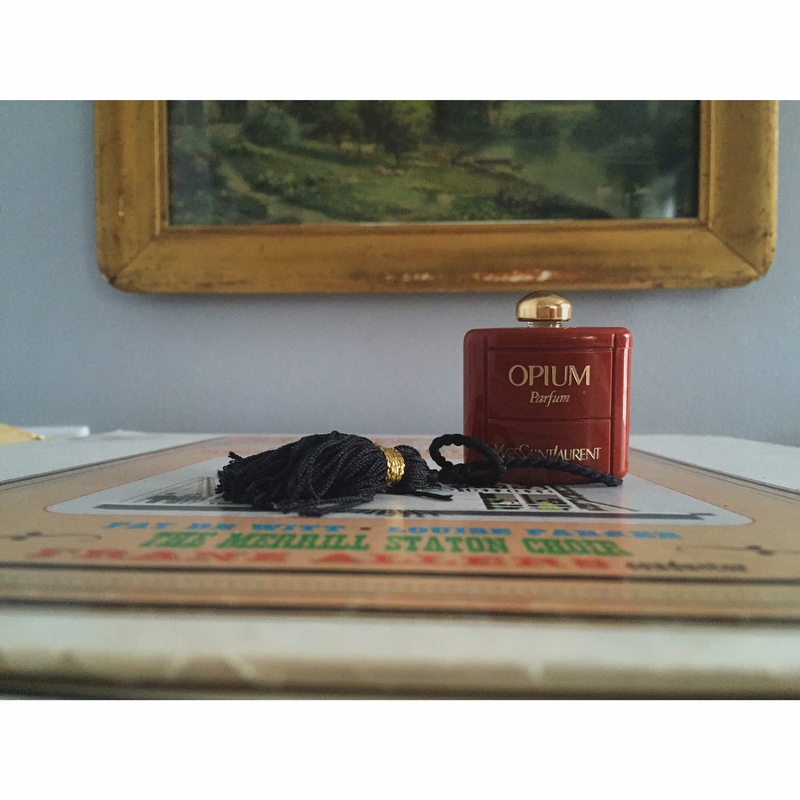 With hauntingly dark balsamic notes and a rich base that holds the sensual notes in tandem Opium is an iconic scent. Opium is quite unique. Top notes: coriander, plum, citruses, mandarin orange, pepper, jasmine, cloves, west indian bay and bergamot. Middle notes: carnation, sandalwood, patchouli, cinnamon, orris root, peach, lily-of-the-valley and rose. Base notes: labdanum, tolu balsam, sandalwood, opoponax, musk, coconut, vanilla, benzoin, vetiver, incense, cedar, myrrh, castoreum and amber. :):) Thank you for commenting and stopping by.